“A law degree opens so many doors.” We hear this all the time, but what exactly does it mean? Where do those doors lead? What sorts of career opportunities become possible with a J.D.? Our alumni are the best evidence of this “promise". Just look at how many of our graduates have used their J.D.s to do incredible things and forge amazingly diverse career paths. “Lawyers Doing Cool Things With Their Law Degrees” is a series of conversations with alumni about their cool jobs, the important issues they are tackling, and how their law degrees got them there. We are intentionally focusing on alumni who are earlier in their careers and moving the dial on important issues. The format is casual and intimate—each “Cool Things” alumni speaker will host up to 20 students in one of the law school’s gorgeous new spaces. The law school will supply the refreshments. Alumni speakers will be announced via Headnotes and sign up is by registration on a first-come-first-served basis. Career profile: Matt joined Canopy Rivers in May 2018 as General Counsel. Prior to joining Canopy Rivers, Matt was an associate at Blake, Cassels & Graydon LLP (Blakes), where he was an active member of the Blakes Cannabis group and regularly wrote and spoke on the latest developments in the industry. Career profile: Peter is the General Counsel, Corporate Secretary and Privacy Officer at Resolver Inc., an integrated risk management software company. He is a member of the executive management team responsible for managing and providing legal advice on a global basis, including commercial, corporate, corporate finance, corporate governance, employment, litigation and M & A issues. Career profile: Laura is a lawyer and strategic advisor with over a decade of experience leading organizations towards a low-carbon and climate-adapted future through the application of law and policy. Laura started her legal career with a prominent Bay Street law firm before founding the first law firm in Canada focused on climate change in 2009. 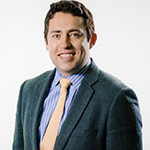 Career profile: Tim Hughes is Legal Counsel with Maple Leaf Sports & Entertainment (MLSE), providing legal support to professional sports teams including the Toronto Maple Leafs, Toronto Raptors and Toronto FC, along with entertainment venues, concerts and events, restaurants and retail operations. Career profile: Margaretta is a family lawyer and aspiring family mediator in sole practice in the west end of Toronto. During law school at the University of Toronto, Margaretta focused on family law, accessing any opportunity to do practical work in this area of law. Margaretta was also fortunate to be able to train at one of Canada’s top family law firms where she was exposed to a wide variety of family law issues. Margaretta’s family law practice focuses on settling cases out of court through negotiation, collaboration and mediation. Career profile: Julia is legal counsel with Ecojustice, Canada’s largest environmental law charity. The Blandings Turtle opened her eyes to the challenges modern society poses to nature in 2002, and she’s been working on environmental issues ever since. Career profile: Emma is a research lawyer at LAO LAW. Her areas of practice are family, child protection, and refugee law. In 2016 and 2017, Emma worked for the United Nations High Commissioner for Refugees in Thailand, where her primary responsibility was refugee status determination. Emma contributed research and writing to Canadian Family and Immigration Law: Intersections, Developments and Conflicts (2015), and co-authored a chapter in Property Rights and Obligations Under Ontario Family Law (2012). Career profile: Jennifer Stone is a Staff Lawyer at Neighbourhood Legal Services (NLS), a community legal aid clinic, and currently leads the Health Justice Program, which is a partnership of the St. Michael's Hospital Academic Family Health Team (FHT), NLS, Aboriginal Legal Services, ARCH Disability Law Centre, and the HIV and AIDS Legal Clinic of Ontario. Career profile: Andrew Stobo Sniderman was the human rights policy advisor to Canada’s Minister of Foreign Affairs, Stéphane Dion, and is writing a book about education and racism in a small town and a neighbouring reserve in Manitoba. He previously worked for Justice Edwin Cameron at South Africa’s Constitutional Court, the United Nations High Commissioner for Refugees in Zimbabwe, and Olthuis Kleer Townshend LLP, an Indigenous rights law firm in Toronto. Career profile: Atrisha is an associate in McCarthy Tétrault’s Litigation Group in Toronto. She maintains a litigation practice focused on commercial disputes (including breach of contract and oppression claims), professional liability litigation, intellectual property litigation and tax disputes. Atrisha is a career columnist at Precedent Magazine, a leading Canadian publication for lawyers. She also frequently speaks on topics related to diversity, a topic she is passionate about. Career profile: Paolo Tonelli is the CEO of Codify Legal Publishing Inc., a legal tech start-up that creates automated tools to improve access to the law and practice of law. As CEO, Paolo oversees all day-to-day operations, including sales, legal and technology; and acts as lead product developer in charge of user experience, product roadmap and industry relations. 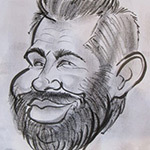 He regularly liaises with investors and key customers. 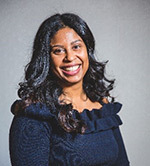 Career profile: Zimra is Director of Investigations & Hearings at the College of Psychologists of Ontario, where she oversees complaint, discipline, remediation and fitness to practice matters regarding registered psychologists and psychological associates. Prior to becoming Director she was a Case Manager at the College, and was responsible for investigating allegations of professional misconduct. Career profile: Duncan is a management consultant at The Boston Consulting Group, based in their Calgary office. Mark is a founding member of BCG Digital Ventures in New York and co-leads BCGDV's Financial Services vertical in North America. Career profile: Dan is Senior Vice President, General Counsel & Secretary at Nestlé Canada Inc. He is responsible for managing all aspects of the company’s legal affairs, serves as a member of the Business Executive Team and reports to the President & CEO. Career profile: Marianne is a trial and appellate lawyer with Edward H. Royle & Partners LLP. She has successfully litigated cases at every level of court in Ontario, including the Ontario Court of Appeal. 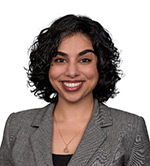 She is also the head of the appeals litigation department, a junior member of the litigation intervention committee with the Criminal Lawyer’s Association, and the author of an online criminal case law digest – a reliable and continuously expanding digest of new appellate jurisprudence. Sabrina practices international trade, anti-corruption, and regulatory law with Bennett Jones LLP. 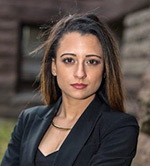 She represents Canadian and international clients in matters relating to trade and investment treaties, customs law, foreign corrupt practices, export controls, economic sanctions, trade remedies, and international dispute settlement. She also provides strategic advice related to international business and regulatory compliance, and conducts internal investigations for trade and anti-corruption matters.